I had the pleasure of traveling to Asheville, North Carolina last week for work. Asheville is surrounded by the Great Smoky Mountains and has a reputation for being a bit of a hippie, artist town, albeit one that is growing and gentrifying à la Portland. 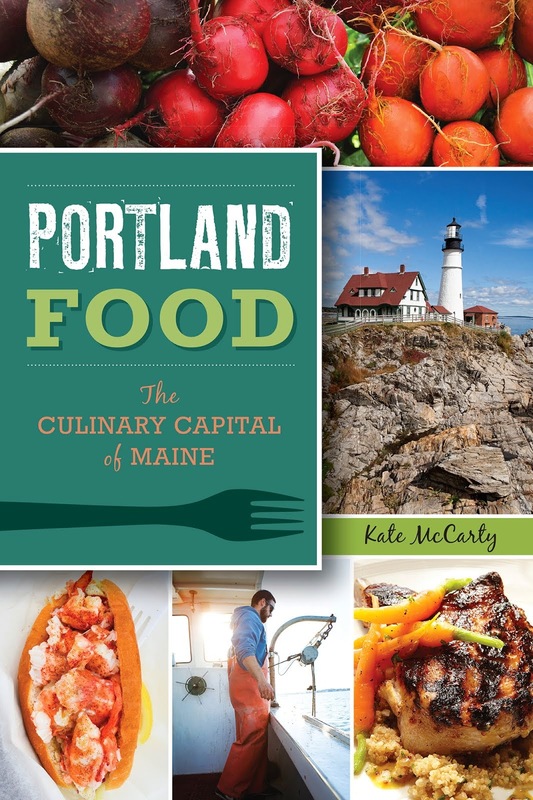 Two good friends of mine visited last summer, and they reported its food and drink scene is also similar to Portland's. Naturally, after I booked my tickets, I immediately started planning my eating itinerary. I flew into Charlotte, about two hours east of the mountains, to spend the weekend with some friends from Maine who have migrated to warmer climes (can't say I blame 'em right about now). The plan was to then rent a car and drive up to Asheville for the week. My bf accompanied me too, working in his own professional development trip. In Charlotte, I quickly confirmed my reputation for being singularly minded when it comes to food and suggested dinner at a unique sounding Korean food/Southern BBQ fusion restaurant. 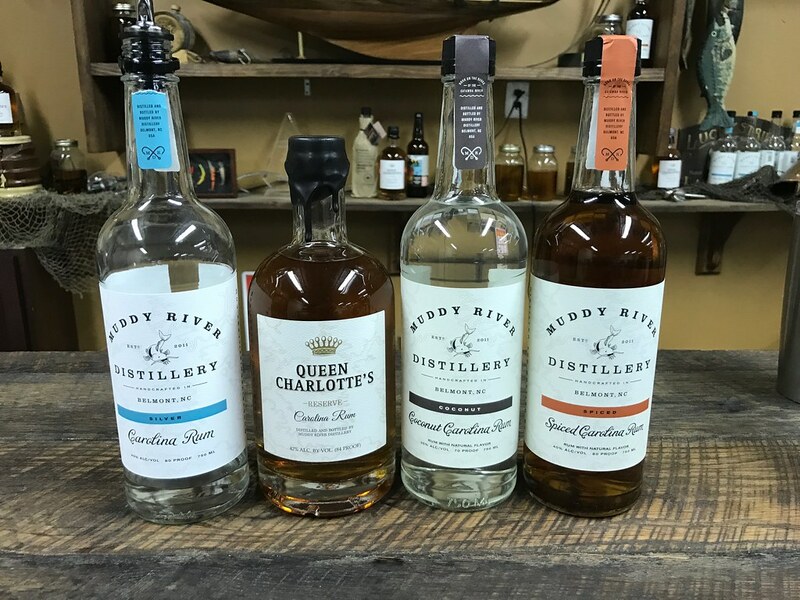 But first, my friends wanted to take us out of town a bit to Muddy River Distillery, a rum distillery on the bank of the Catabwa River. 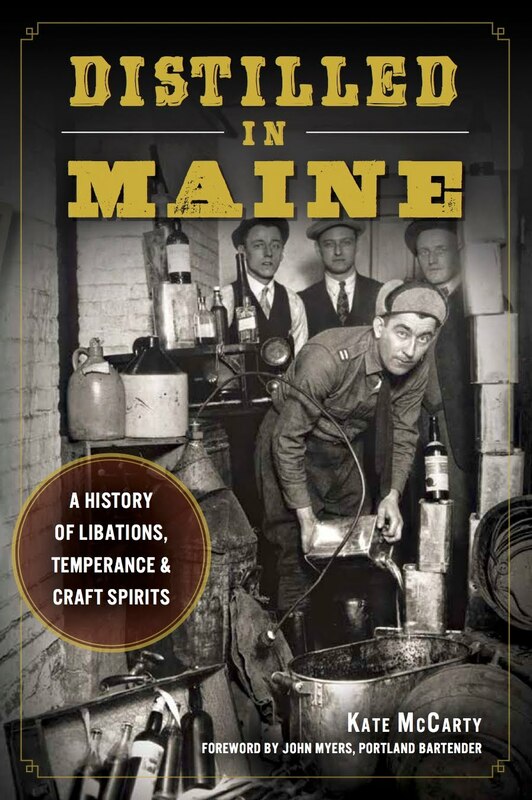 We signed on for the long tour, an hour and a half, which made me wonder what in the hell there was to discuss for that long in a microdistillery. But the owner Robbie did a great job of filling us in on his backstory, the process, and the rum tasting while keeping us entertained. We tried the silver rum; Queen Charlotte, a barrel-aged rum; coconut rum; and spiced rum. The last two were surprisingly delicious, using real ingredients to flavor the rums rather than artificial ones. 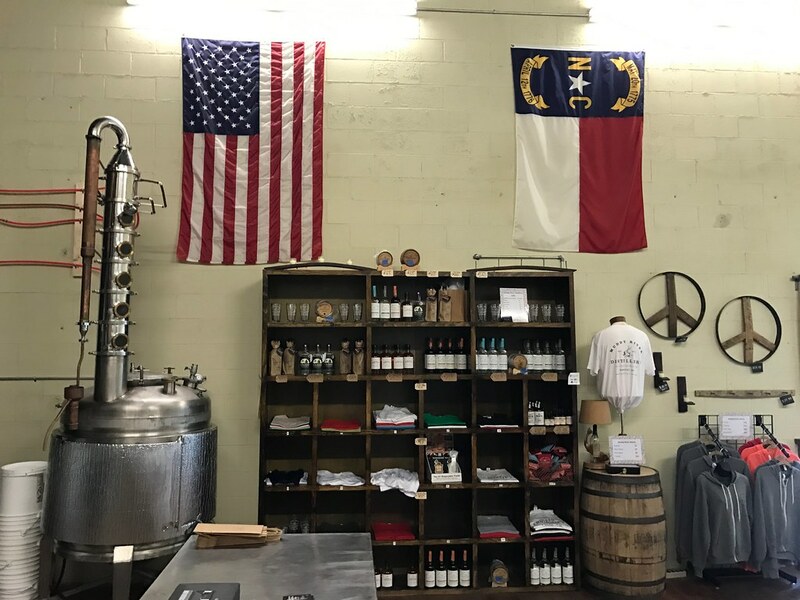 The rum is only distributed in North Carolina, but is available in all counties, so if you find yourself in the state, you should pick some up (and it's surprisingly affordable for a craft distillery). After some cocktails on the porch (not to brag, but it was 80* and sunny in Charlotte last weekend), we headed across town to Seoul Food Meat Company. 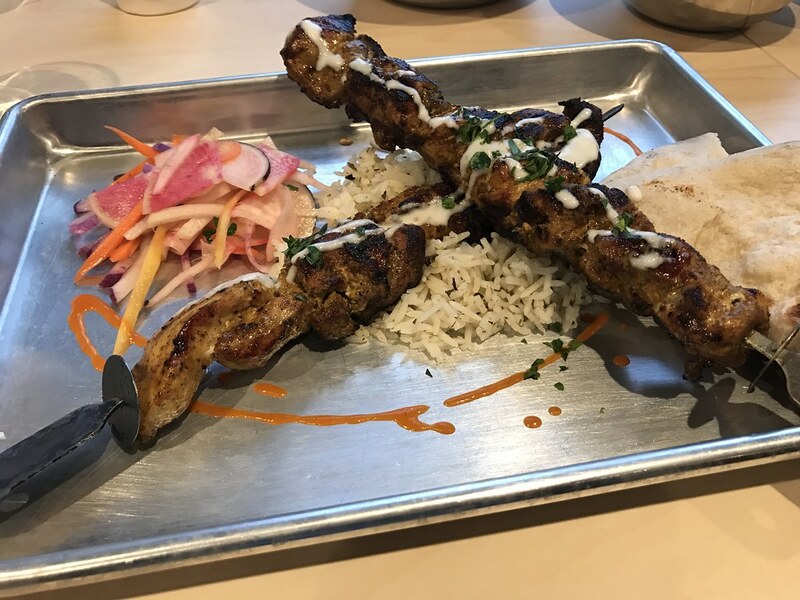 I'd scoped this place out via the Eater Heatmap, and while my friends apparently never venture over to Charlotte's South End, they obliged my foodie agenda. After a wait for a table and some steller people watching (so. many. 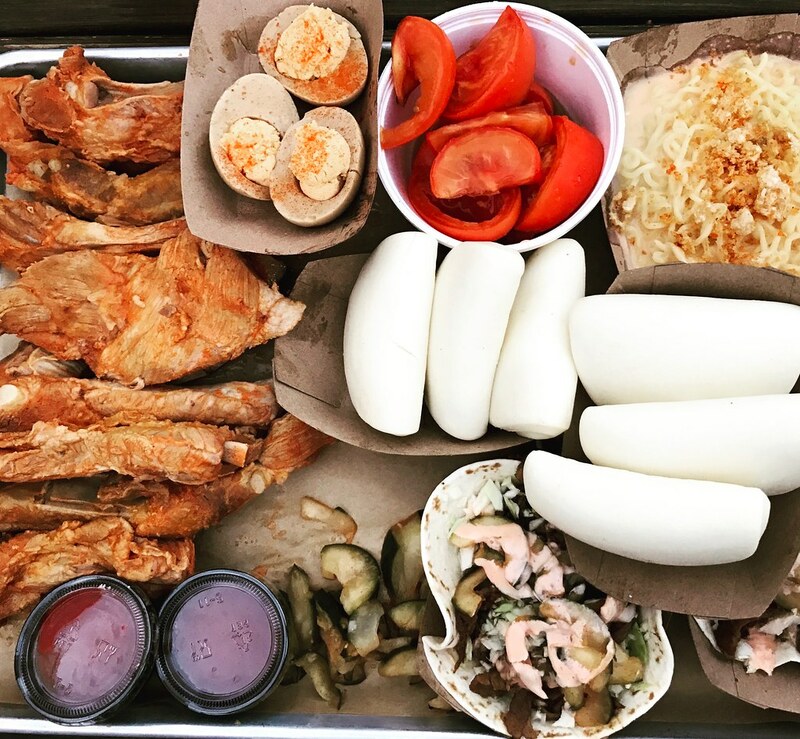 bros.), we dove into the best Korean-style chicken wings, fatty brisket tacos, ramen mac and cheese, bao buns, pickled deviled eggs, and braised beef ribs. The ribs were our least favorite—we figured later we should have ordered pork spare ribs. Or a million more spicy barbecue and soy garlic chicken wings. 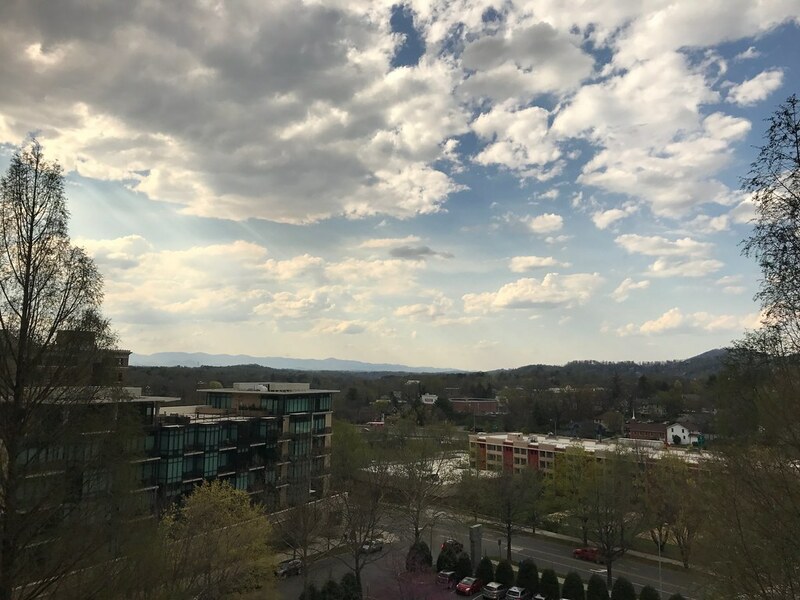 We drove to Asheville on Monday, where I bided my time in cold conferences rooms until I could sprint outside and soak up the sun. 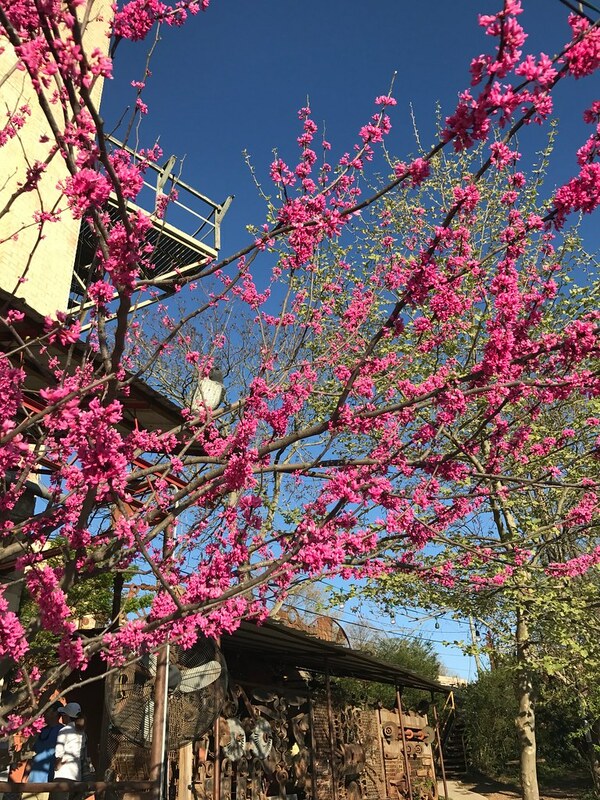 Spring was like 😍 in the mountains, with flowers at every turn, baby green leaves, and temps in the mid-70s every day. Asheville allegedly has the most breweries per capita in the country, which, I know a lot of stats regarding "the most" of anything are inflated, but there was seriously, like a brewery on every corner in this town. 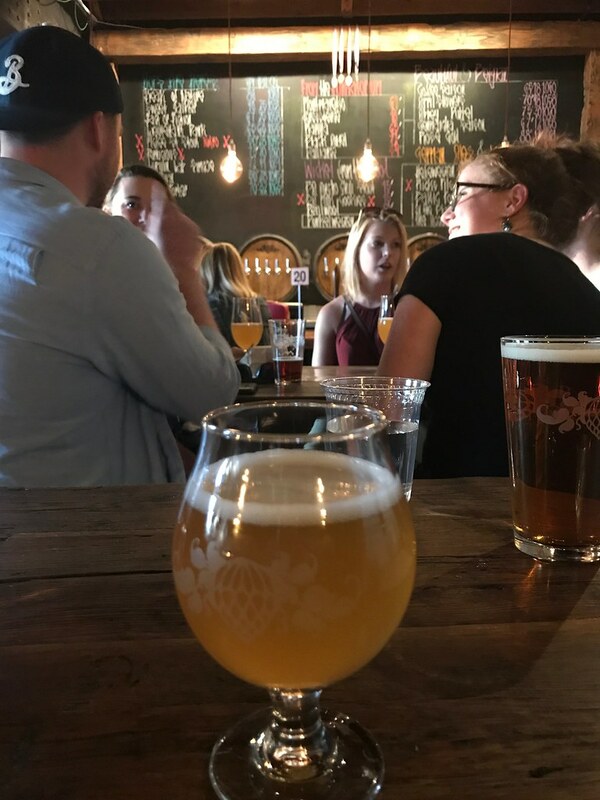 We stopped into Wicked Weed Brewing for happy hour our first night. It's one of the larger breweries in town, with two floors of seating and large patios on each level. They were out of my first choice, Pernicious, the flagship IPA, so I turned to the sour section and enjoyed Marina, a peach apricot sour. After our beers, we headed over to Buxton Hall BBQ for a late dinner. 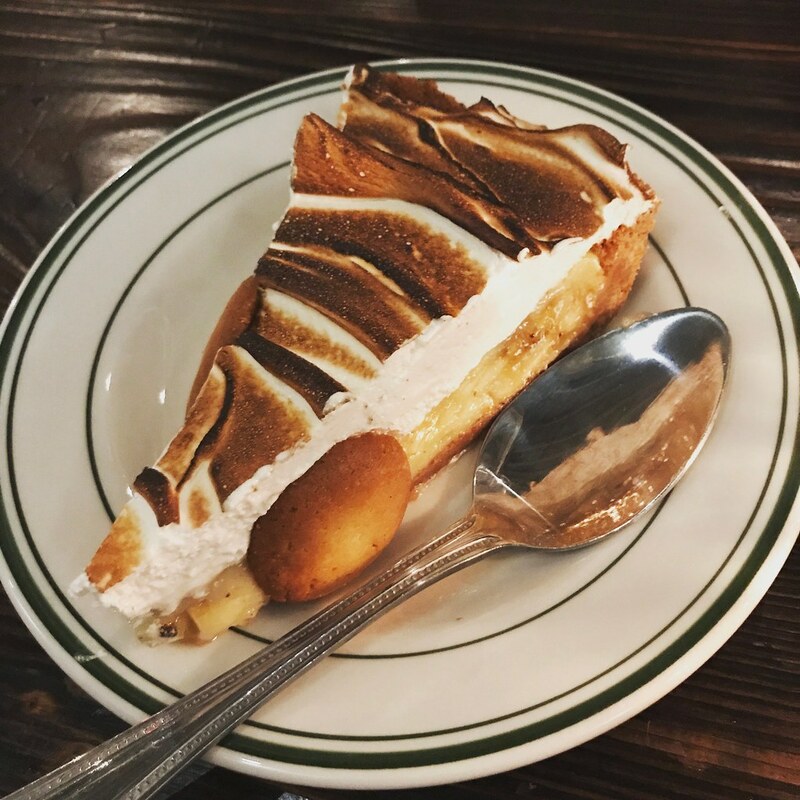 This was high on my to-eat list, ever since I'd seen a Bon Appetit video about the making of their famous banana cream pie. The pulled pork was delicious, very m-word with tons of flavor, despite the lack of barbecue sauce. 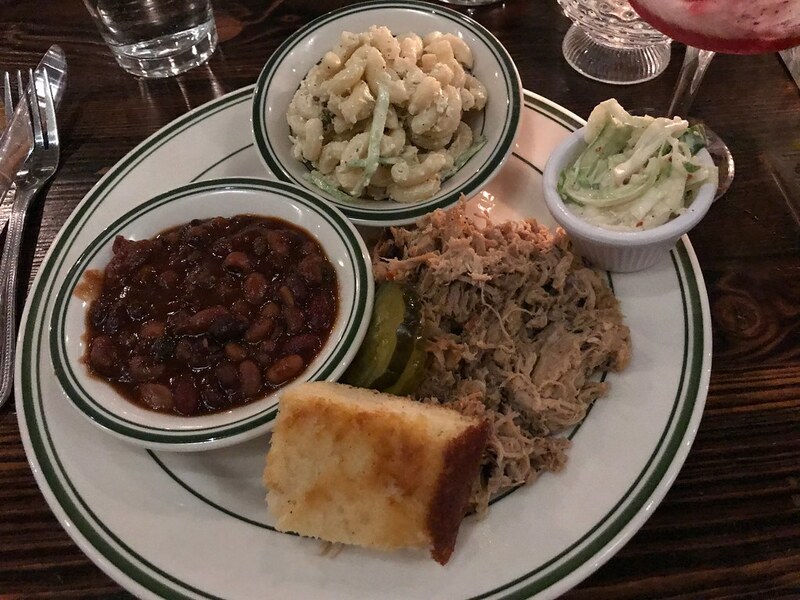 I say lack of barbecue, since being in North Carolina meant the two options on the table were a yellow mustard sauce and straight vinegar. I opted to eat my meat naked. Aside from the RC Cola baked beans, the sides weren't particularly noteworthy. 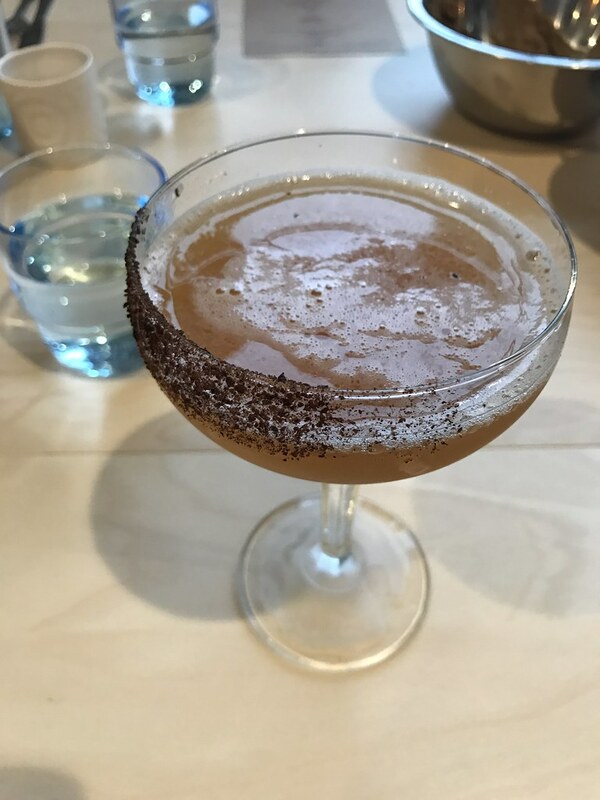 My cocktail, a Humdrum Paradise was anything but with rum, hibiscus, grenadine, lime and egg white. A's fried chicken sandwich with white barbecue sauce and pimento cheese was delicious, and that much anticipated banana cream pie made an appearance in my dreams that night. Other highlights included dinner at Cucina 24, a great Italian restaurant. I was out with coworkers, and we tried all the handmade pasta, naturally. 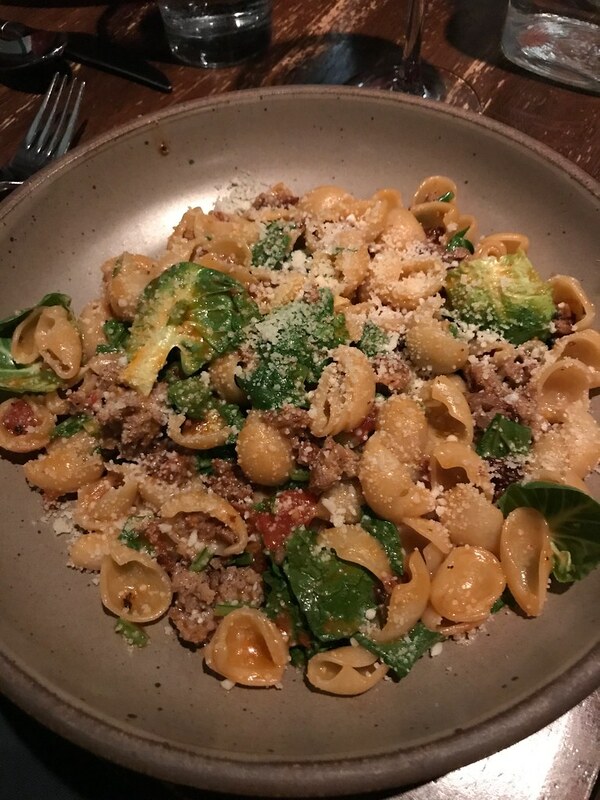 Mine was orecchiette with spicy sausage, tomato, and what she said was broccoli raab, but looked more like Brussels sprouts leaves to me. We ventured over to the River Arts District another night for beers at Wedge Brewing Co., where the Cajun food truck Root Down was parked. 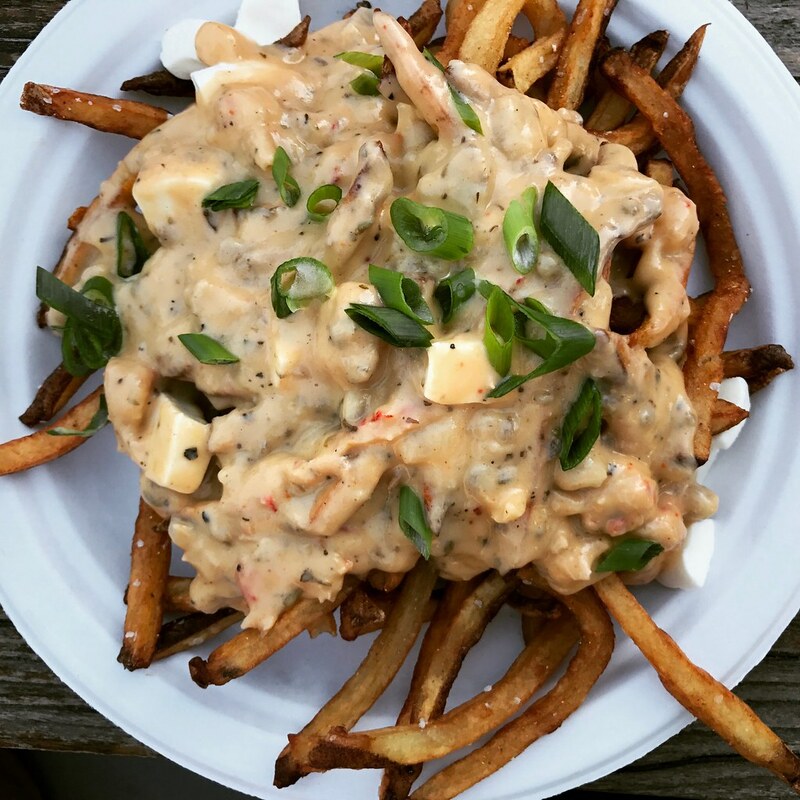 I had a heaping plate of crawfish poutine to soak up some IPA. The only meal that was a "miss" was our dinner at Local Provisions. This buzzworthy restaurant was underwhelming, which left me disappointed and with a sense of regret that I didn't maximize my meals better. But lunch the next day at the vibrant Chai Pani, which served Indian street food, more than made up for it. The okra fries (on the right) were the sleeper hit, crunchy and with an addictive tang. When we hit the road back to the Charlotte airport, we certainly felt like we'd "done" Asheville, and were ready to fly home...mostly to see our cats! 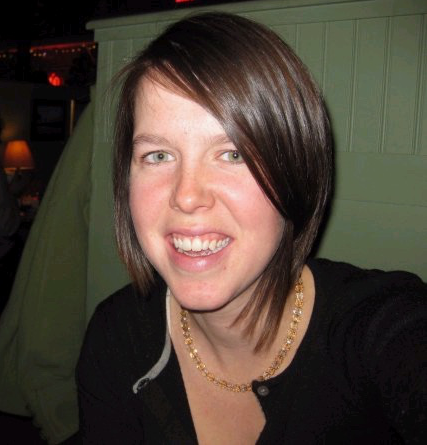 But I was loving on the warm spring weather, the friendly company, and the vibrant brewery and restaurant scene. Maine has a lot of things going for it, but spring weather is not one of them (not to beat a dead horse). 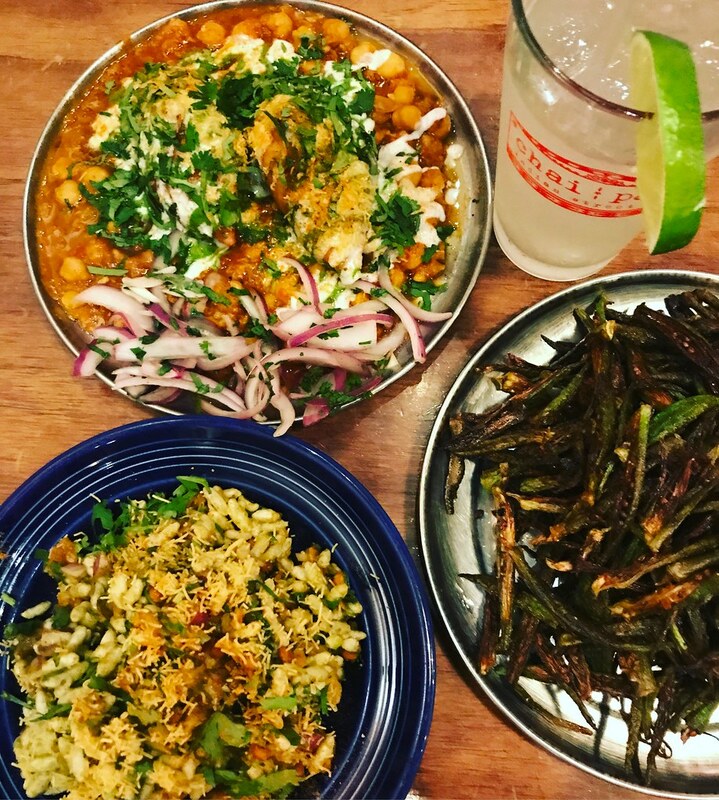 I could have easily kept eating and drinking my way through Asheville. In fact, we've already started floating plans for a family trip back there next spring. 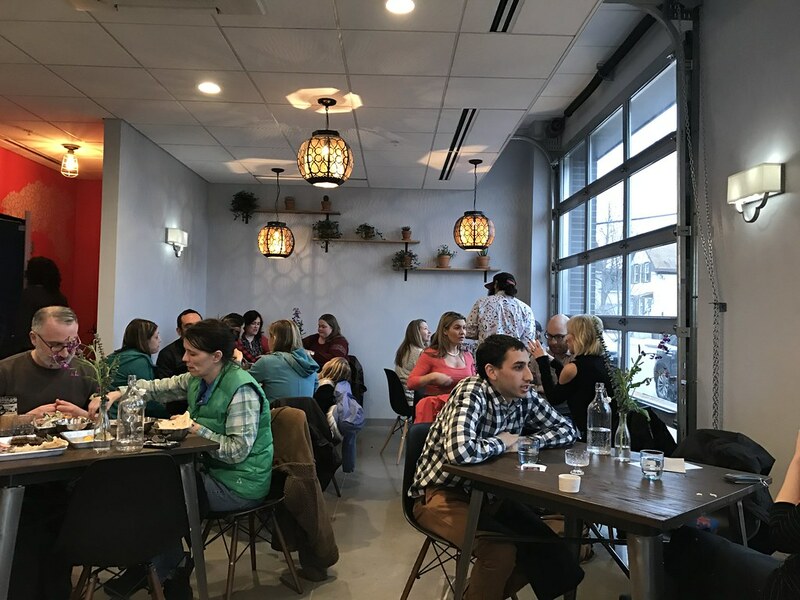 Any stir crazy Mainers should consider flying to Asheville for a getaway—it's a short flight to Charlotte, and while a car is nice to have, you don't need one if you stay downtown.